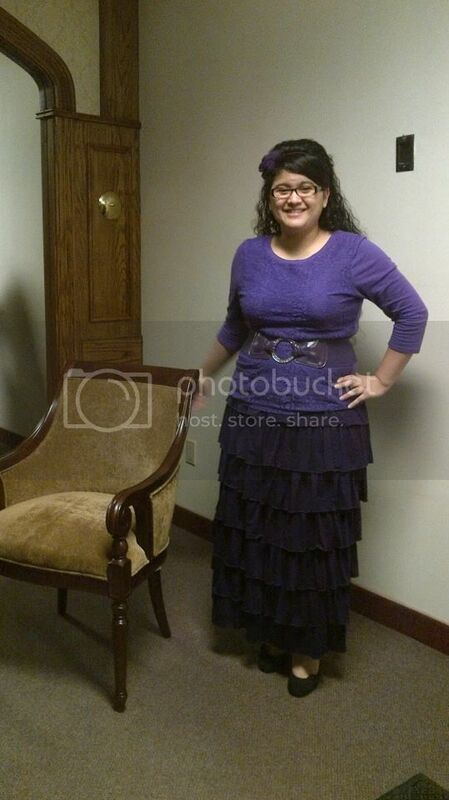 The Modesty Walk: OOTD: Sunday Church Day! So, I wanted to share an outfit with you all! Over the holiday season I purchased some clothing from Jade McKenzie Apparel. She has a lot of nice modest clothing. When buying things online I’m always hesitant because sizing can vary, but lucky for me, this skirt fit me great. I really loved the skirt (LOVE RUFFLES – Can’t get enough of them), you can tell it’s great quality, worth the price you pay. The only issue I had was the wait! Lol…it took a few weeks to get, but it was worth it. I was excited when I found the matching shirt too (totally on accident – wasn't even shopping for me!) and it was on clearance for only $7 bucks! 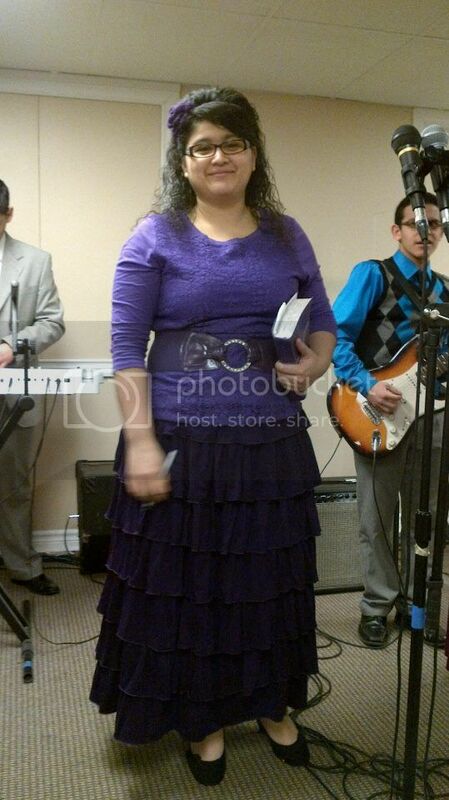 I got a lot of compliments on this skirt from my beautiful church sisters, I’m sure Jade McKenzie would be proud. LOL….Yay!